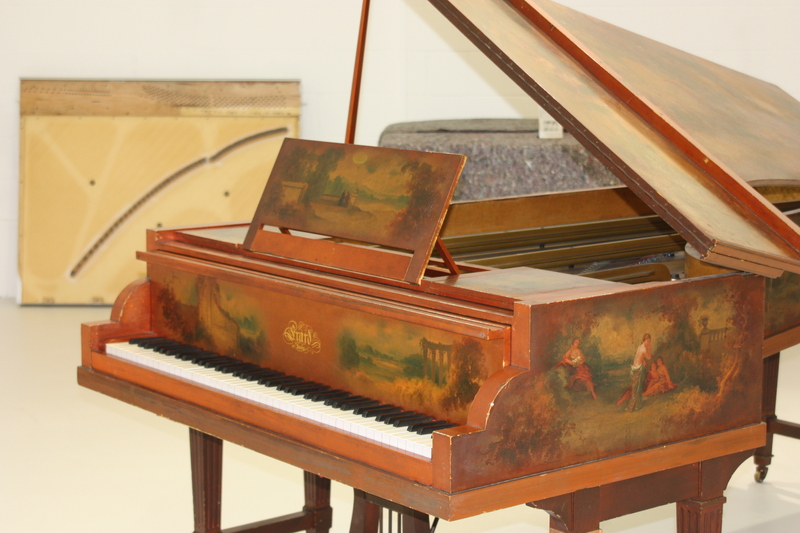 Our Artisans are very excited to be given the opportunity to rejuvenate this beautiful painted Erard Grand Piano through the meticulous, world-renowned 1066 Restoration Process. 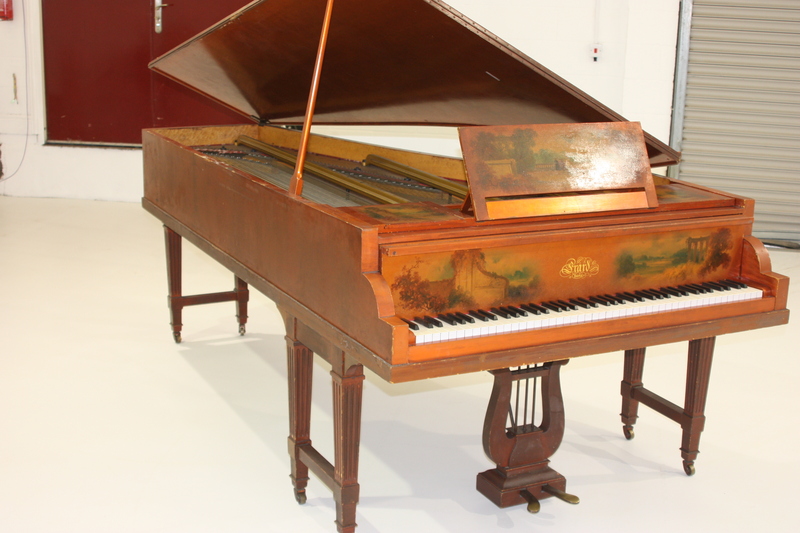 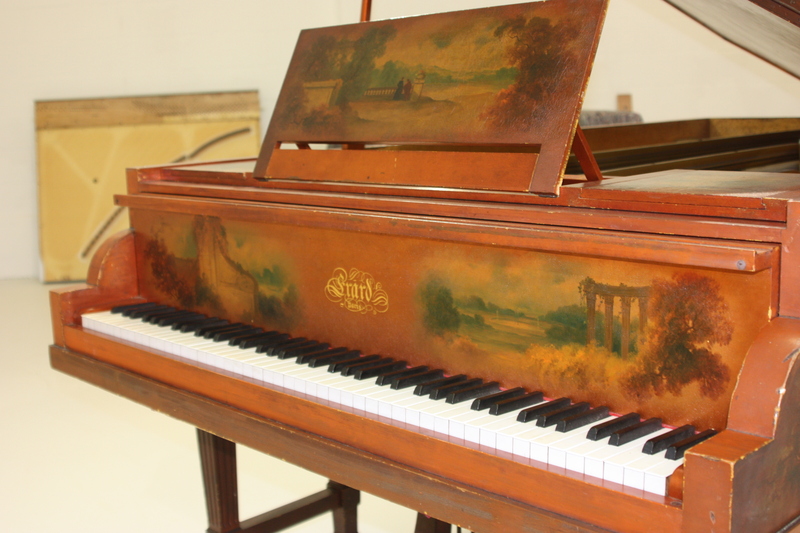 Dating from the turn of the 20th century, and with an early ‘forkshank’ action, this is a very difficult and complicated piano to restore, although our experienced master craftsmen are more than able for the task! 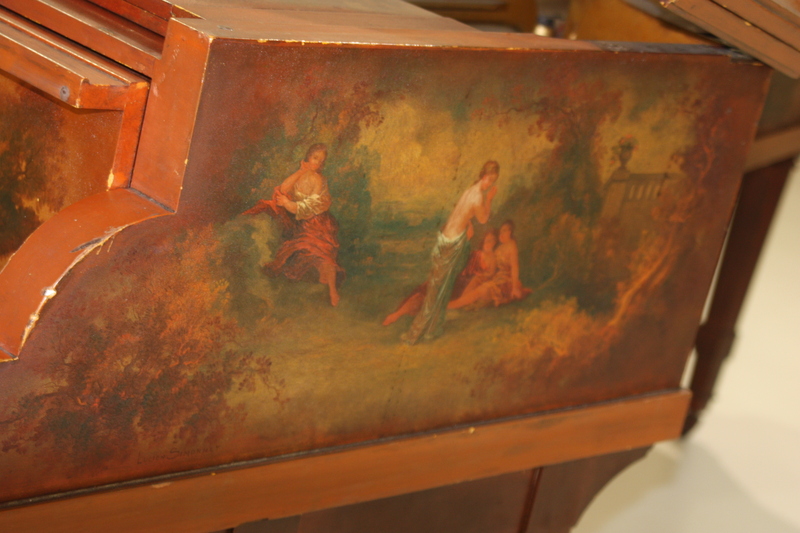 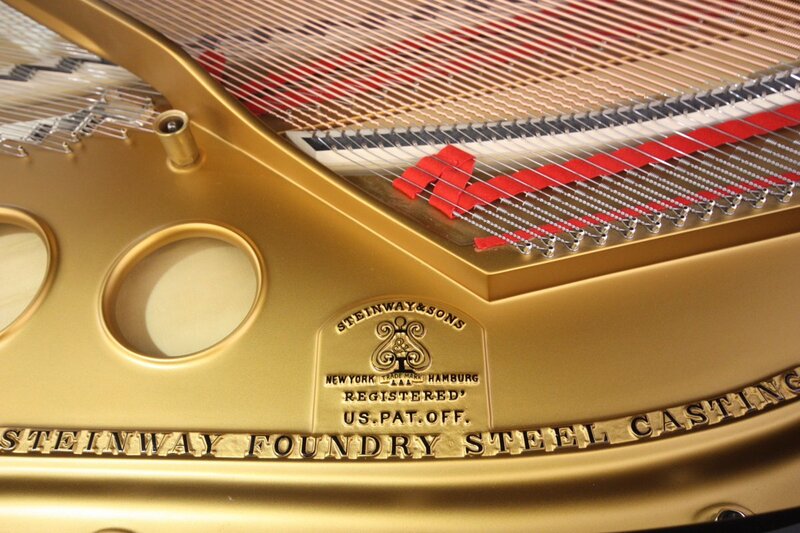 We look forward to keeping you updated with progress and of course we will release photos of this unique piano in its fully restored glory when our team have finished working their magic.